This story was updated March 12, 2019, at 9:30 p.m. with more information. 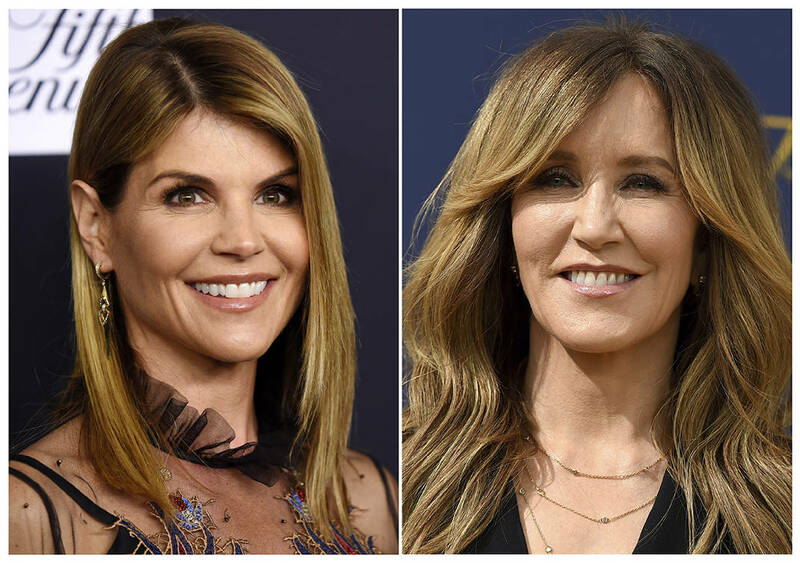 BOSTON (AP) — Fifty people, including Hollywood stars Felicity Huffman and Lori Loughlin, were charged Tuesday in a scheme in which wealthy parents allegedly bribed college coaches and other insiders to get their children into some of the nation's most selective schools. 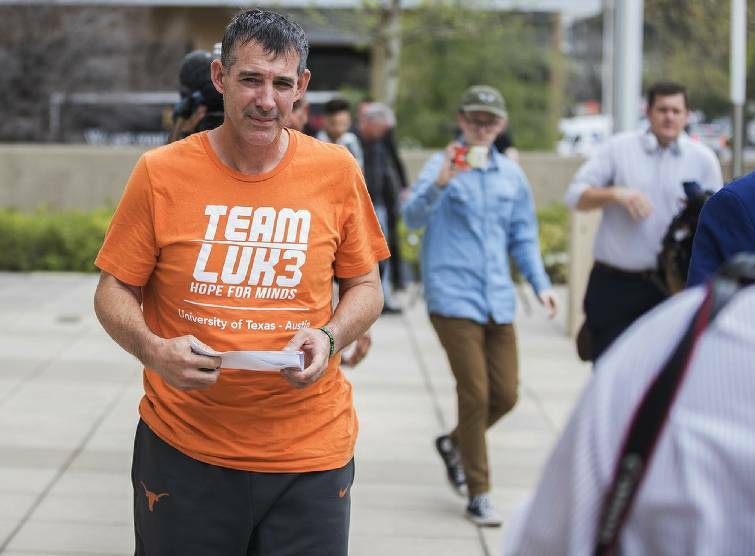 At least nine athletic coaches and 33 parents, many of them prominent in law, finance, fashion, the food and beverage industry and other fields, were charged. 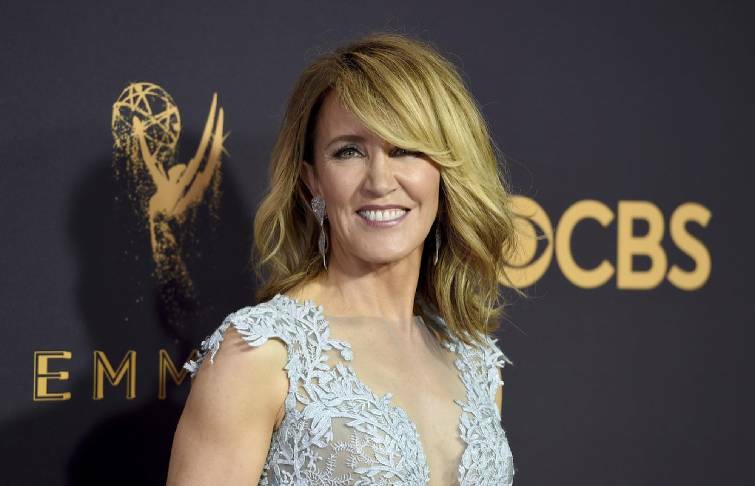 Dozens, including Huffman, the Emmy-winning star of ABC's "Desperate Housewives," were arrested by midday. 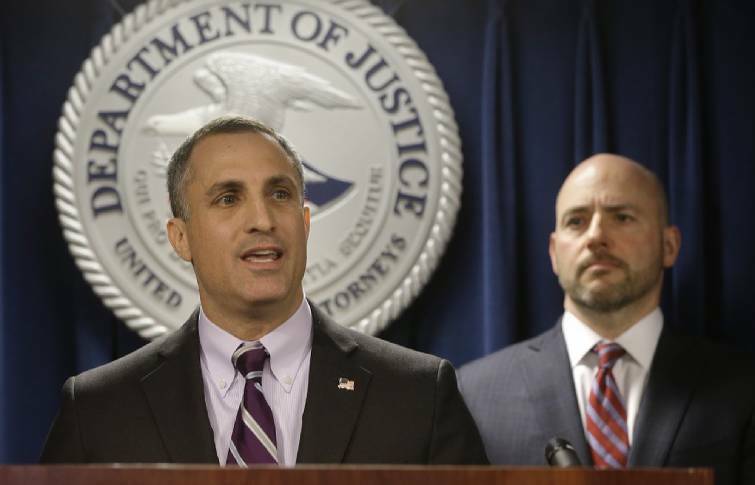 "These parents are a catalog of wealth and privilege," U.S. Attorney Andrew Lelling said in announcing the results of a fraud and conspiracy investigation code-named Operation Varsity Blues. 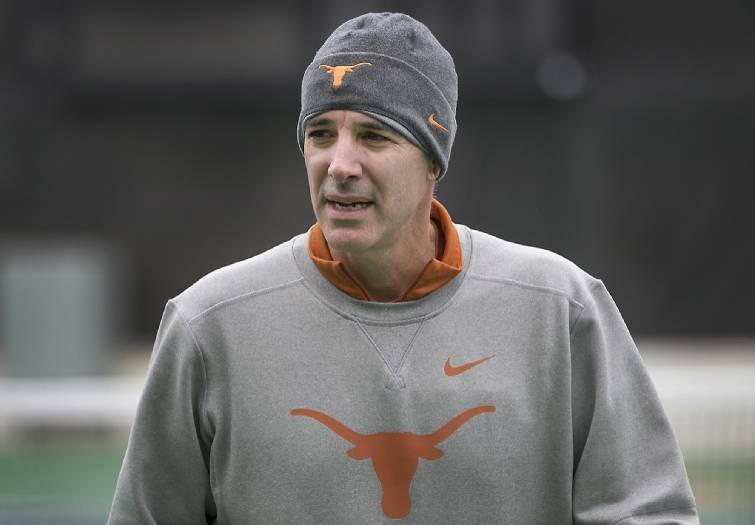 The coaches worked at such schools as Yale, Stanford, Georgetown, Wake Forest, the University of Texas, the University of Southern California and the University of California at Los Angeles. 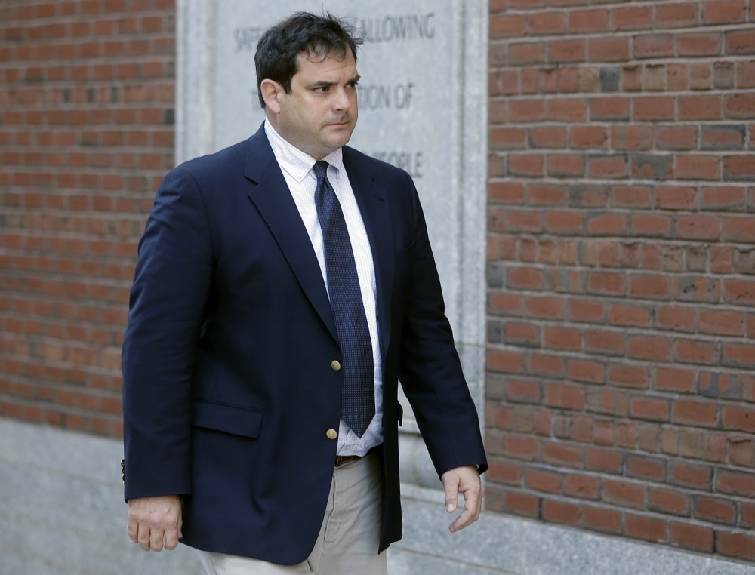 A former Yale soccer coach pleaded guilty and helped build the case against others. Two more of those charged — Stanford's sailing coach and the college-admissions consultant at the very center of the scheme — pleaded guilty Tuesday in Boston. Others appeared in court and were released on bail. Huffman appeared in a Los Angeles courthouse where a magistrate judge said she could be released on a $250,000 bond. The actress looked repeatedly at her husband, actor William H. Macy, who was sitting in the audience during the proceedings. Her attorney cited her community ties in asking that the actress be released on her own recognizance, which the judge refused to grant. "She's simply not the kind of person who is going to become an international fugitive," Huffman's attorney, Evan A. Jeaness said in court. Huffman is scheduled to appear in court March 29 in Boston. College consultants were not exactly shocked by the allegations. "This story is the proof that there will always be a market for parents who have the resources and are desperate to get their kid one more success," said Mark Sklarow, CEO of the Independent Educational Consultants Association. "This was shopping for name-brand product and being willing to spend whatever it took." The central figure in the scheme was identified as admissions consultant William "Rick" Singer, founder of the Edge College & Career Network of Newport Beach, California. He pleaded guilty, as did Stanford's John Vandemoer. Singer's lawyer, Donald Heller, said his client intends to cooperate fully with prosecutors and is "remorseful and contrite and wants to move on with his life." Prosecutors said that parents paid Singer big money from 2011 through last month to bribe coaches and administrators to falsely make their children look like star athletes to boost their chances of getting accepted. The consultant also hired ringers to take college entrance exams for students, and paid off insiders at testing centers to correct students' answers. Some parents spent hundreds of thousands of dollars and some as much as $6.5 million to guarantee their children's admission, officials said. Lelling said the investigation is continuing and authorities believe other parents were involved. The IRS is also investigating, since some parents allegedly disguised the bribes as charitable donations. The colleges themselves are not targets, the prosecutor said. The investigation began when authorities received a tip about the scheme from someone they were interviewing in a separate case, Lelling said. He did not elaborate. 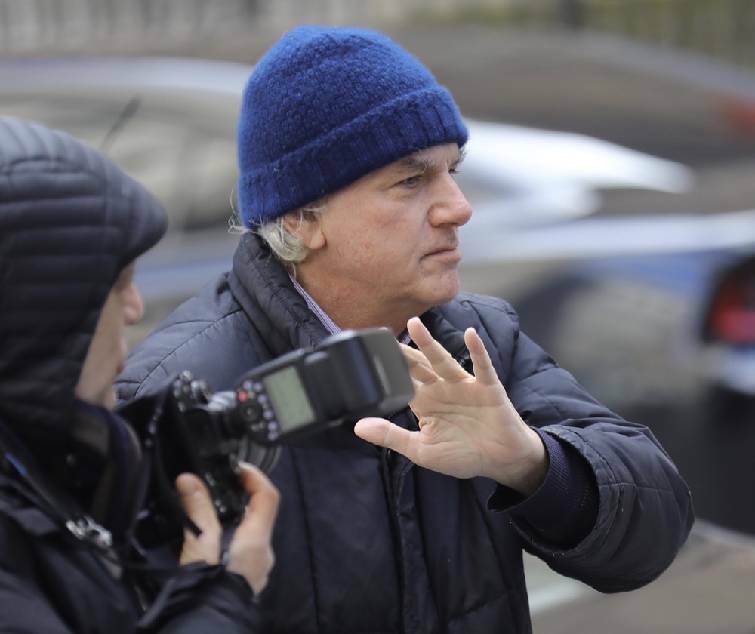 Among the parents charged was Gordon Caplan of Greenwich, Connecticut, co-chairman of the international law firm Willkie Farr & Gallagher, based in New York. He and other parents did not immediately return telephone or email messages for comment. Caplan was accused of paying $75,000 to get a test supervisor to correct the answers on his daughter's ACT exam after she took it. In a conversation last June with a cooperating witness, he was told his daughter needed to "be stupid" when a psychologist evaluated her for learning disabilities that would entitle her to more time to take the test, according to court papers. The witness described the scheme as "the home run of home runs." A number of colleges moved quickly to fire or suspend the coaches and distance themselves from the scandal, portraying themselves as victims. Stanford fired the sailing coach, and USC dropped of its water polo coach and an athletic administrator. UCLA suspended its soccer coach, and Wake Forest did the same with its volleyball coach. Loughlin, who was charged along with her husband, fashion designer Mossimo Giannulli, appeared in the ABC sitcom "Full House" in the 1980s and '90s. Huffman was nominated for an Oscar for playing a transgender woman in the 2005 movie "Transamerica." She also starred in the TV show "Sports Night" and appeared in such films as "Reversal of Fortune," ''Magnolia" and "The Spanish Prisoner." A magistrate judge in Los Angeles set a $1 million bond for Giannulli. He and Huffman both were told to surrender their passports. Prosecutors in the case said they have agreed to let Loughlin travel to Vancouver for work, but her whereabouts were not clear. Loughlin and her husband allegedly gave $500,000 to have their two daughters labeled as recruits to the USC crew team, even though neither participated in the sport. 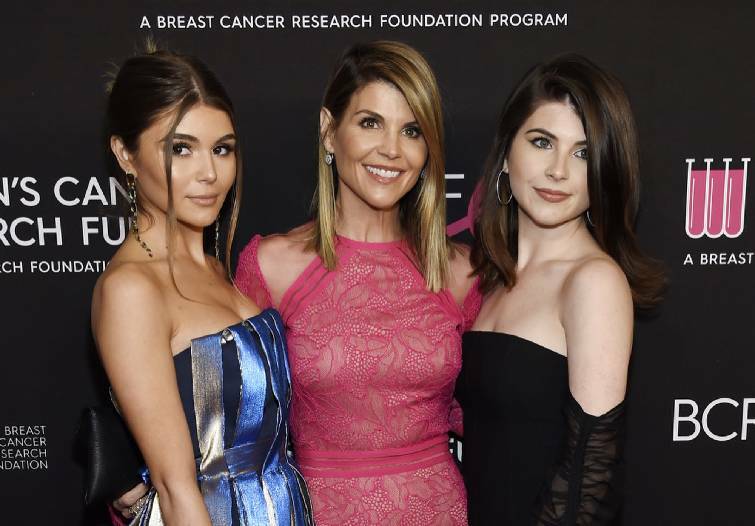 Their 19-year-old daughter Olivia Jade Giannulli, a social media star with a popular YouTube channel, is now at USC. Court documents said Huffman paid $15,000 that she disguised as a charitable donation so that her daughter could take part in the entrance-exam cheating scam. Court papers said a cooperating witness met with Huffman and her husband at their Los Angeles home and explained to them that he "controlled" a testing center and could have somebody secretly change her daughter's answers. The person told investigators the couple agreed to the plan. The couple's daughter, Sofia, is an aspiring actress who attends Los Angeles High School of the Arts. In another case, a young woman got into Yale in exchange for $1.2 million from the family, prosecutors said. A false athletic profile created for the student said she had been on China's junior national development soccer team. Prosecutors said Yale coach Rudolph Meredith received $400,000, even though he knew the student did not play competitive soccer. He did not return messages seeking comment. Sklarow, the independent education consultant unconnected to the case, said the scandal "certainly speaks to the fact that the admissions process is broken." "It's so fraught with anxiety, especially at the elite schools," he said, "that I think it can't be surprising that millionaires who have probably never said no to their kids are trying to play the system in order to get their child accepted."